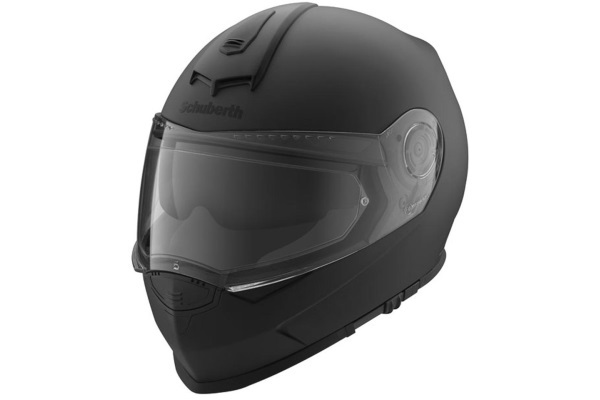 For over 90 years, Schuberth has manufactured state-of-the-art motorcycle helmets. The S2 is no exception, offering the latest features in both safety and comfort. Lightweight and aerodynamic, the S2 is perfect for all types of bikers. Its distinctive elongated shape under the chin allows for increased contact pressure at high speeds, thus providing relief to the neck muscles. In addition, its innovative ventilation system at the back of the head helps to keep the rider’s head cool. The S2 is available in several colours, from $769. It comes with an integrated sun visor and a noise reduction system. In addition, bikers can benefit from an optional integrated Bluetooth communication system.